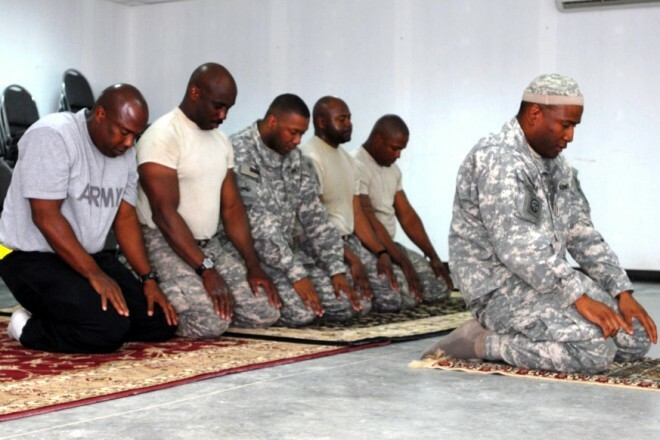 Islam is the fourth-largest faith in the United States, after Christianity, Judaism and Buddhism. It was followed by 0.9% of the population in 2010, compared to 78.3% who follow Christianity, 16.4% unaffiliated, 1.8% Judaism and 1.2% Buddhism. American Muslims come from various backgrounds and, according to a 2009 Gallup poll, are one of the most racially diverse religious groups in the United States. Native-born American Muslims are mainly African Americans who make up about a quarter of the total Muslim population. Many of these have converted to Islam during the last seventy years. Conversion to Islam in large urban areas has also contributed to its growth over the years. While an estimated 10 percent of the slaves brought to colonial America from Africa arrived as Muslims, Islam was stringently suppressed on plantations. Prior to the late 19th century, most documented non-enslaved Muslims in North America were merchants, travelers, and sailors. In 2005, more people from Islamic countries became legal permanent United States residents — nearly 96,000 — than there had been in any other year in the previous two decades. In 2009, more than 115,000 Muslims became legal residents of the United States. WASHINGTON, D.C. -- In the first-ever nationally representative study of a randomly selected sample of Muslim Americans, Gallup reveals that Muslim Americans are the most racially diverse religious group surveyed in the United States, with African Americans making up the largest contingent within the population, at 35%. This finding is one of many in Gallup's report, Muslim Americans: A National Portrait, which compares the opinions of Muslim Americans with those of the general U.S. population, revealing important differences in terms of gender equality, civic engagement, life evaluation, religiosity, and more. The report also reveals that Muslim American women are one of the most highly educated female religious groups in the United States, second only to Jewish American women. In addition, as a group, Muslim Americans have the highest degree of economic gender parity at the high and low ends of the income spectrum. Muslim American women are equally as likely as men to say they attend mosque at least once a week, which stands in sharp contrast to the trend seen in some predominantly Muslim countries where men are more likely than women to report attending a religious service in the last week. The report also examines the views of Muslim American youths (aged 18 to 29) and how their levels of civic engagement compare with those of young Americans of other religious backgrounds. For example, the report finds that only 51% of young Muslim Americans are registered to vote, which is one of the lowest percentages among young Americans surveyed. When asked about their political views, 39% of young Muslim Americans describe their views as moderate, 28% say they are either liberal or very liberal, while 20% consider themselves politically conservative or very conservative. Gallup asked Americans across religious groups to evaluate their lives as well as their expectations of where they think they will be in five years using the Cantril Self-Anchoring Striving Scale with steps numbered from 0 to 10, where "0" indicates the worst possible life and "10" indicates the best possible life. Americans classified as "thriving" say that they presently stand on step 7 or higher of the ladder and expect to stand on step 8 or higher about five years from now. The 41% of Muslim Americans considered to be "thriving" is the lowest percentage among religious groups studied. Concerning faith and religiosity, about 41% of Muslim Americans and Protestant Americans say they attend their place of worship at least once a week, while 37% of Catholic Americans say the same. When asked whether religion is an important part of their daily lives, 80% of Muslim Americans answer in the affirmative. Of the religious groups studied, only Mormons (85%) are more likely than Muslims to say religion plays an important role in their lives. Muslim Americans: A National Portrait reports key findings and in-depth analysis geared at informing the discourse about Muslim Americans. The Gallup Center for Muslim Studies conducted the study as part of its Muslim West Facts project to explore Muslim Americans' attitudes on issues ranging from emotional wellbeing, political views, the economy, and the importance of faith in the lives of Muslims living in America. This groundbreaking report sheds light on the Muslim thread of the American tapestry: a community that is frequently discussed, but often misunderstood. It captures the nuances of a Muslim American population that, although facing its equal share of challenges, remains a largely untapped resource of American talent. Results are based on daily cell phone and landline phone interviews with more than 300,000 adults, aged 18 and older, in the United States in 2008. Of the total sample, 946 respondents self-identified themselves as Muslims. For results based on the total sample, one can say with 95% confidence that the maximum margin of sampling error is ±0.2 percentage points. For results based on the sample of 946 Muslim Americans, the maximum margin of sampling error is ±4 adjusted for design effect. In addition to sampling error, question wording and practical difficulties in conducting surveys can introduce error or bias into the findings of public opinion polls. You count on Oppressed Peoples Online Word (OPOW), to give you the full story — to connect the dots between the issues you've cared about for years and the daily news headlines. But did you know that OPOW never accepts any advertising or corporate sponsorships? OPOW relies on our audience — people who receive our publication, just like you do, and who depend on OPOW as a source of reliable independent news. Did you know that if everyone who visited our website this week gave just $15, it would cover our operating costs for the full year? The latest from Abu Ruyaa (@AbuRuyaa). Oppressed Peoples Online Word. You need to be a member of Oppressed Peoples Online Word...The Voice Of The Voiceless to add comments!